Home IT Opportunities How I earned from Computer Repair Service? How I earned from Computer Repair Service? It was March 2010 when the former Computer Technician resigned then, the company hired me. Since then, his clients for computer repair service transferred to me and believe me, I started earning. Apart from my salary as a Network Administrator I work overtime at my client’s house for various computer services like setup a home network, install programs, reformatting, troubleshooting and any computer assistance service. I have at least 500 to 1800 pesos(10 - 36 dollars or more) in my pocket in just a night with only few numbers of clients having their computers at home. This is a little amount for you but imagine how about if I have 25 clients around Davao area then, how much I would earn? Yes you can work in a Bar, Night Club, Gay Bar or Beer House and earned better than me but the income in computer repair service is pure and legal with dignity .lol…. How you can start earning money with Computer repair Service? Some newbie Computer Technicians offers free computer assistance to an Internet or Computer shops as a trainee to let others know they can repair computers and later the owner will hire them or refer to other friends. A good technique but it requires patience and basic knowledge. Remember, it’s a trust building processes it takes time to put up. Others newbie just join with their friend professional in PC Troubleshooting gain knowledge and further experience. While Computer Technicians like me was known because it’s my job. As what I have mention above, just study, explore ,apply what you have learn and be happy. If you have an account in Facebook, Friendster , Twitter, Digg, blogs, and other social media then, it’s your time to shine; advertise yourself! You can blog your service, tell your friends, classmates, relatives and text mates that you offer a Computer Repair Service. If you can’t manage online, you can create a small tarpaulin, banner, or scribe in a sheet of thick paper and vandal your business.lol…. 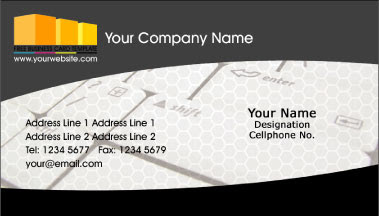 A business card is a good option that a customer can get in touch with you anytime. There are a lot of ways, be resourceful. When you start having clients, provide them an after troubleshooting support as possible. Show them that you’re not only after with the money but to provide them a reasonable cost of service. If you’re reliable in everything then, I believe the goodness keeps coming back. Advise them what to do and just a basic idea about PC maintenance and they will be happy. Hand them a business card or any contact details to contact you for assistance. Me, if incase my client is not satisfied with my work, I can offer a money back guarantee or free follow up service. Be kind unto them even if they’re not paying you well just continue. Why? Customer could advertise you in any ways. 4. Get certified, the better. If you can manage to take for a Computer Technician certification exam or any IT licenses that could make you legible much better. Here in the Philippines you can take a TESDA certification exam for only 380 pesos or for free. Good news your license is valid until five years or just adds another payment for renewal. TESDA certification is widely recognized in the Philippines and other Asian countries. But if you can afford to take an CompTIA A+ certification exam for computer technician, around 6000 pesos only then, great. As your business is getting bigger a planned to put up an office or a shop is a good move. Building represents credibility, growth, draws public trust, legality and improve business name. You can expand your business from a Computer Repair to a computer store or gadgets retailer. Lastly, wherever you are act as professional, humble, customer friendly, approachable and timely.Consider the Ten Computer Ethics for your good reference. It will speak with your Character.